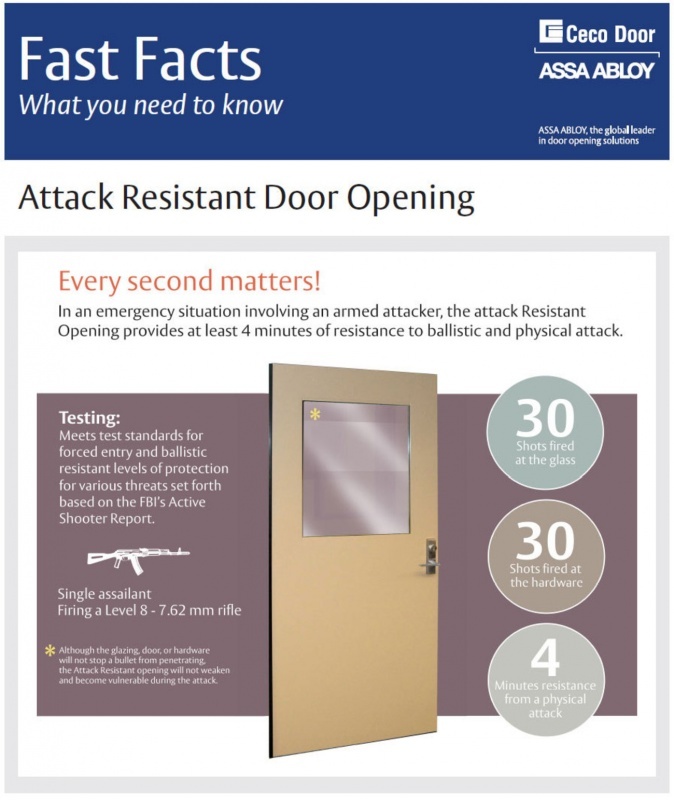 Ceco Attack Resistant Door Openings provide 4 minutes of ballistic resistance. It's important to plan ahead in today's world. In case of attack, 4 minutes can save lives. These doors are great for keeping your building safer. Get them through Robert I. Merrill Company today.